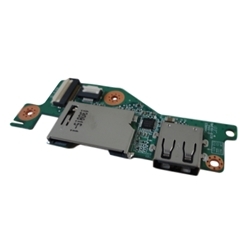 Description: New genuine Acer laptop usb card reader board. This original circuit board contains 1 usb port. Compatible Part #'s: 55.SHEN7.002, DAOZHNTHADO, 3WZHNC80000.